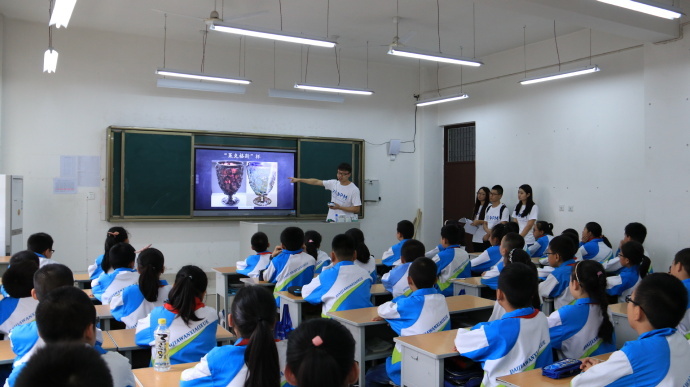 On 22nd, September, the student chapter went to Daijiawan Primary School, Baoji city, another city of Shaanxi province, not far from Xi’an to give the second scientific popularity series activities themed as “Lighting the future minds”. All the students and several teachers of Class 2, Grade 6 has participated in the activity. 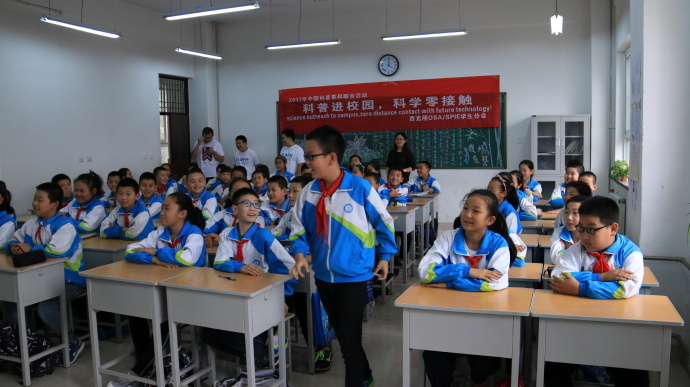 The scientific team was warmly welcomed by the students and the teachers. 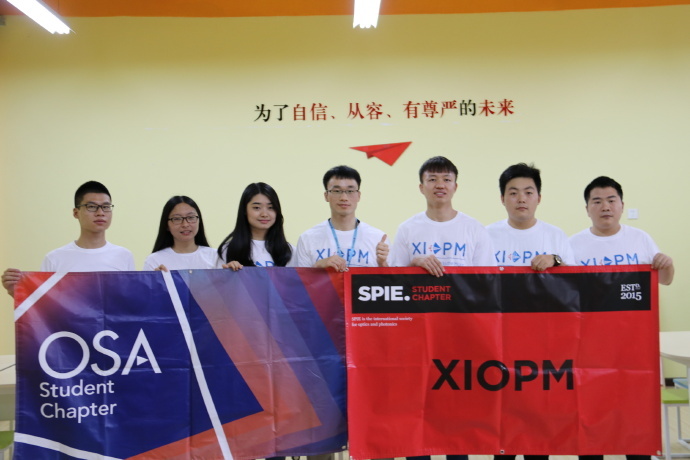 President Xingfeng Wang introduced the great contribution that the XIOPM has made to the scientific field of China as well as the research status, president Wang encouraged them to work hard to fulfill their dreams. 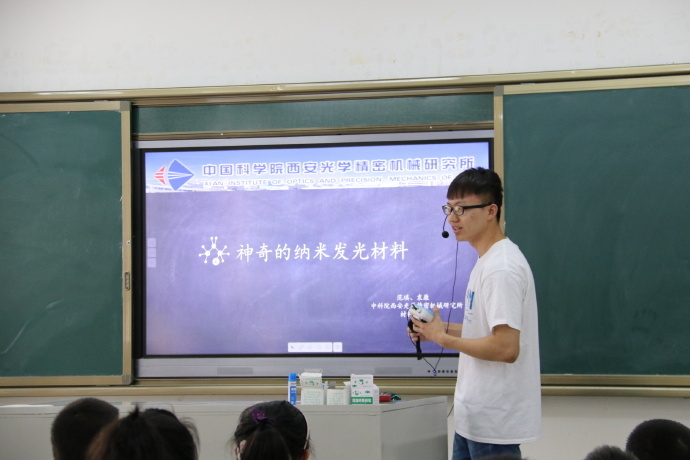 Qi Fan of the state key laboratory of transient optics and photonics and Junyu Chen of Center for Remote Sensing gave the presentations and experimental demonstrations about the luminescent nano-materials and the VR technology, they both gave a comprehensive reviews of the research areas. The students listened very careful, it seemed that a new world had opened to them and they wanted to know everything about the world. 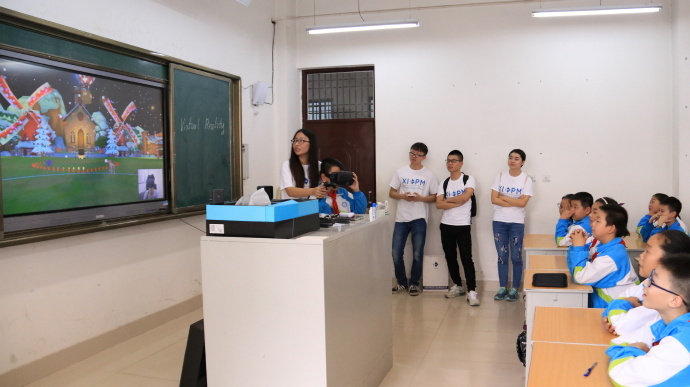 After the presentation, many students asked various questions such as the applications of the nanomaterials in life, whether the materials are harmful to people, the principle of VR and so on. 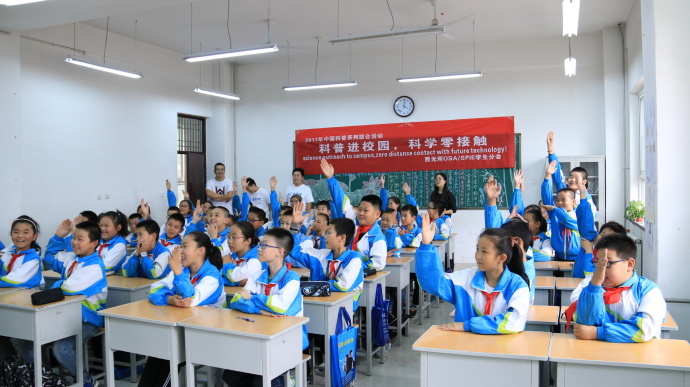 The two teams gave their answers one by one on each question and encourage the students to learn more and know more. 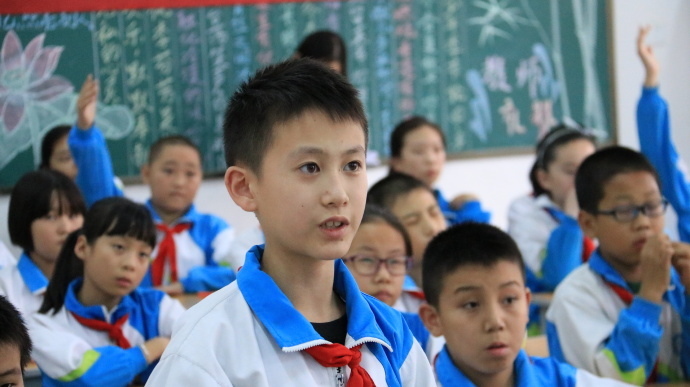 Several students even expressed that they will work hard to make contributions to the country like XIOPM, all the student members are greatly relieved and enthusiastic to the next activities!